Rebecca Cotton grew up in the Vail Valley and is a life-long member of ECOT. She is a veteran sacristan, acolyte trainer, lay eucharistic minister and Sunday School teacher at Transfiguration before her graduation from Battle Mountain High School with highest honors in 2013. 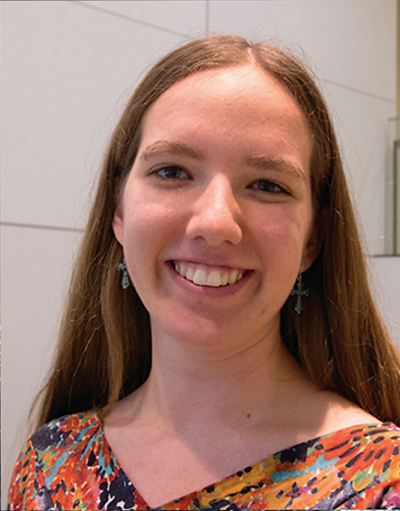 She chose Transfiguration as her career semester internship site, learning valuable lessons in professional ministry before graduating high school. A recent graduate with honors from the College of Literature, Science and the Arts at the University of Michigan, she earned a Bachelor of Science degree in Ecology and Evolutionary Biology and minor in Mathematics. She completed an independent research project focusing upon global warming to earn her honors designation. Rebecca also served as a lay minister and small group leader in her college congregation throughout her college career. She is the first scientist to serve on the Church’s staff.